CHICAGO, IL ▼ CONYERS & SMYRNA, GA ▼ INDIANAPOLIS & MERRILLVILLE, IN ▼ MILWAUKEE, WI ▼ OVERLAND PARK, KS One E. Oak Hill Drive | Suite 302 | Westmont, IL 60559 | 800-441-7032 | trilandproperties.com Visit us at S293 S Street during ICSC RECon Redevelopment stories with happy endings Ours is an original story of successful real estate redevelopment: acquire a distressed, underperforming retail property, then strategically transform the site into a dynamic, revitalized shopping center where – in the end – consumers, tenants, investors and communities realize its true value and lasting returns. Tri-Land focuses on the fundamentals. Market research. Consumer trends. Competitive forces. Investment potential. There are common elements to the story, but each center has its own chapters and challenges to effectively manage. And when unexpected circumstances create plot twists and turns, we draft a new scenario, refine our efforts and balance the risks. 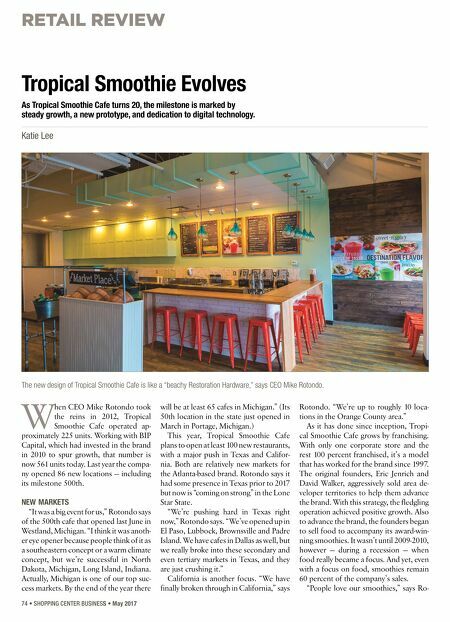 For almost 40 years, Tri-Land has creatively reimagined, revitalized and repositioned underperforming shopping centers in underserved markets with a distinct point of view and an innovative, well-crafted plot line. 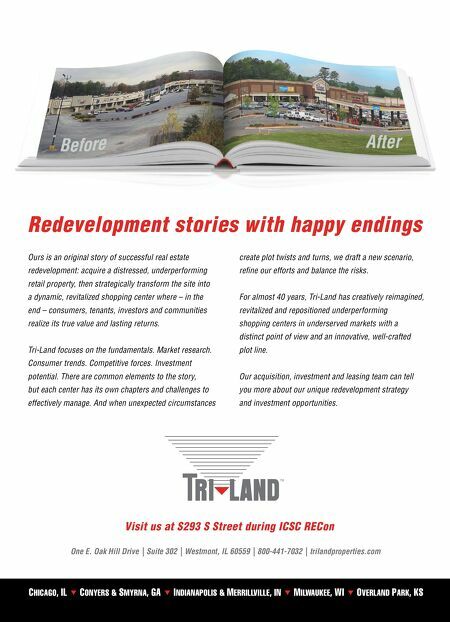 Our acquisition, investment and leasing team can tell you more about our unique redevelopment strategy and investment opportunities.